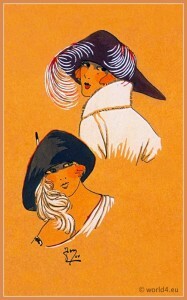 Hat Models of Sourire d'Automne. Art deco hat fashion 1921. Home » Hat Models of Sourire d’Automne. Art deco hat fashion 1921.